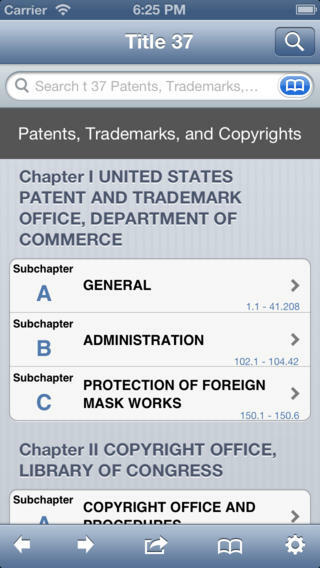 iPad and iPhone apps that allow you to search for patent information from your mobile device are now available. Many of these applications use the USPTO and other patent databases as the source of their patent information. 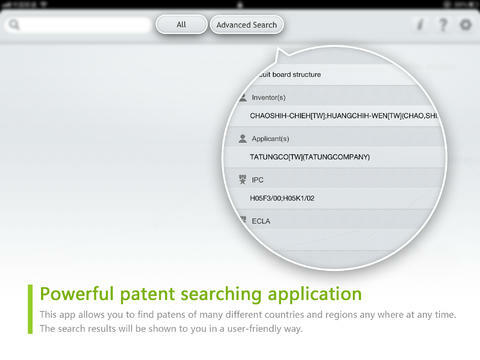 Below are some of the best of these patent search apps. Great app! Searches the US (U.S. Patent Office) database, as well as JP (Japan), GB (Great Britain), DE (Germany), FR (France), EP(European Patent Office), CH (Switzerland), and CN (China) databases. Allows searching by many options including title, patent number, keywords, assignee, and ECLA (European Classification) and IPC (International Classification). PDFs of patents can be viewed and e-mailed as attachments. 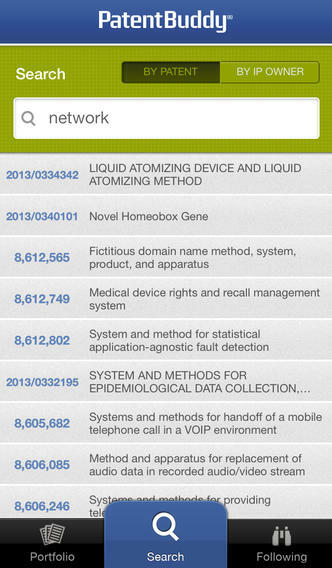 Great way to retrieve and view PDFs of U.S. patents. Easy-to-use search interface allows you to combine search terms and categories to narrow search results. 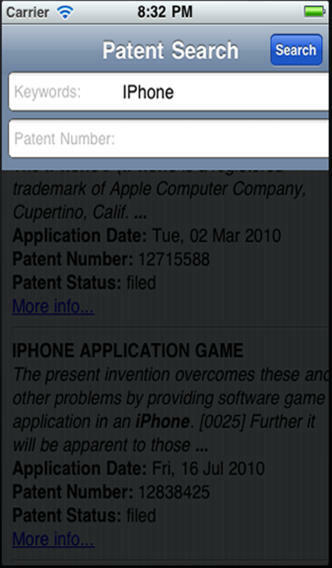 The free version of PatentBuddy allows you to quickly search by patent or by IP owner. Additional search capabilities require a monthly fee. A constantly updated iPad and iPhone app version of 37 CFR. 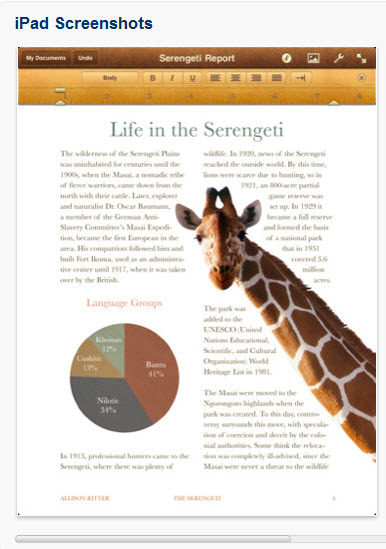 Pages is the top iPad word processor app that allows you to work faster and smarter on the iPad. 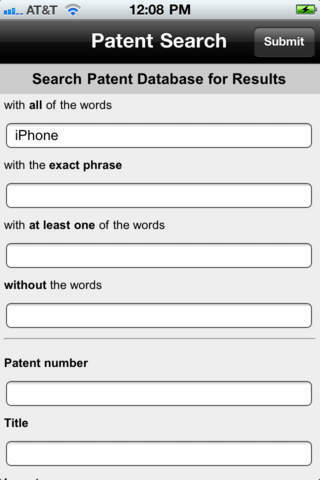 A great productivity tool that complements your patent searching apps.